In stock. Usually ships within 4 to 5 days. 1 DVD - Including a step-by-step walkthrough of our unique self-assessments and corrective exercises, stretches and self treatments that are specific to your condition. 3 Audio CDs - Including how to get the best results using the system, Strategies for reducing and managing pain and Condition specific recommendations. A Reference manual that includes all of the corrective exercises, stretches and pain reduction strategies. 90-Days of UNLIMITED personal email and phone support for any specific questions you may have. 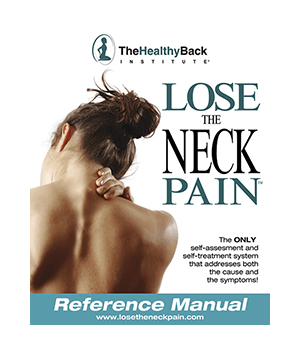 HOW CAN Lose the Neck Pain ™ - Physical Version HELP? Introducing: The First And ONLY Customized Neck Pain Solution Ever Created.... The Lose the Neck Pain® System. A step-by-step walkthrough of our unique self-assessments inside the workbook to pinpoint which physical dysfunctions you have and how they're responsible for your pain. Once you've identified your dysfunctions, we then walk you through the corrective exercises, stretches and self treatments that are specific to your condition and are necessary for you to rebalance your body and eliminate your pain. In addition to the video, you'll also receive 3 audio CD's. ... our mission and you will understand that even though it is a self paced program, we are here to support you and provide you support in anyway we can. Audio CD 3 - Condition Specific Recommendations - If you've been diagnosed with a specific condition, CD 3 will give you specific recommendations, techniques and treatments you may also want to consider. The reference manual provides you with exercises, stretches, and pain reduction strategies for easy reference even when you're on the go. Another vital part of the Lose the Neck Pain® System is the extensive reference manual. In addition to reviewing the information covered on the videos and audio CD's, it also covers several topics in much greater detail. 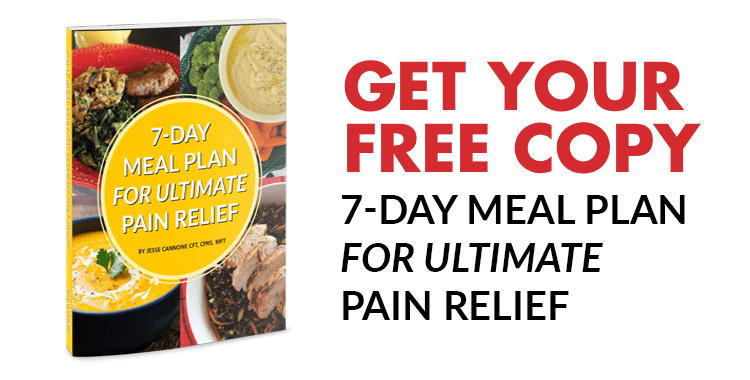 Plus, all of the corrective exercises, stretches and pain reduction strategies are included in the manual so you can easily take it with you. You'll never be wondering what you are supposed to be doing or if you are doing things correctly. With the reference manual you'll have a guide you can go back to again and again should you ever forget an exercise or simply need a "refresher". 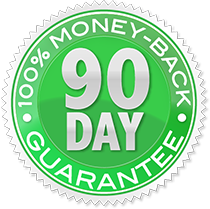 One of the reasons people get such great results using our system is because we provide extensive, effective and unlimited personal support for 90 days. Just like tens of thousands of others have called on us for help with their back pain, we will provide you with the ongoing support and motivation that you need but aren't getting from your doctor or other health care providers to finally conquer your neck pain. Once you begin using our system, we will work with you personally to ensure you get the best possible results using our system in the shortest amount of time. We'll answer any and all questions you have and make sure that you are making steady and consistent progress. We'll even consult with your healthcare professionals if necessary! You have unlimited access to us... anytime you have questions simply email or call us and we will personally answer your questions with a detailed response within 48 hours, often times much faster! Whether you have questions about how to use The Lose the Neck Pain® System or just general questions about neck and back pain, we'll be here to answer those questions for you. You can't get this kind of support anywhere else... not even from your doctor! In fact, if you asked your doctor for support like this you could expect to pay several hundred dollars per month (IF they even let you). You're getting it FREE for 90 days when you order today. This alone is worth many times the price of the entire system! We truly want to help you live pain free. That’s why we test every single product we offer and develop many of our own exclusive products you can’t get anywhere else. If you are unhappy for any reason, simply return your order within 90 days and get your money back, less shipping. Your returned product must be sent back in its original packaging and in like new condition with all parts and pieces. Please Note: All returns are carefully inspected by the our returns department. If there are any signs of damage, foul odors, pet hair, dirt, and other debris, the return will not be accepted. Smart Ship lets you replenish your supply without the trouble of ordering every month. It's convenient, affordable and easy. With Smart Ship, you’ll NEVER have to worry about running out or missing out on all of the health benefits. Plus you'll enjoy our highest VIP Customer Savings. Lock in your low Members Only price and get FREE SHIPPING every month. You are under NO obligation to continue. You can cancel Smart Ship anytime, no questions asked, by simply calling toll-free 1-800-216-4908 or online with our convenient self-service “my account” web portal.